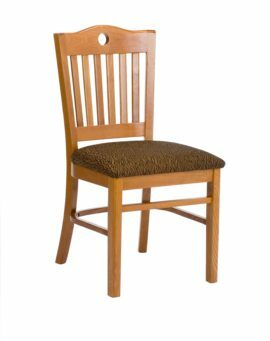 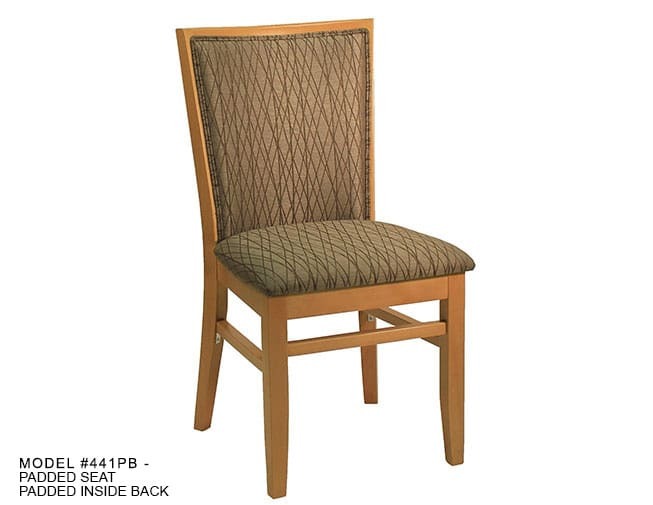 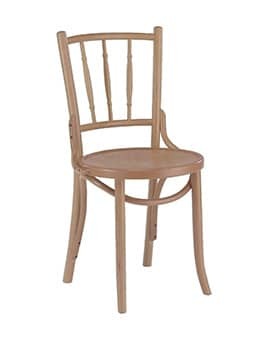 Deluxe High Back Vertical Slat Back Side Chair – Model 441 – Restaurant Chairs by M. Deitz and Sons, Inc. 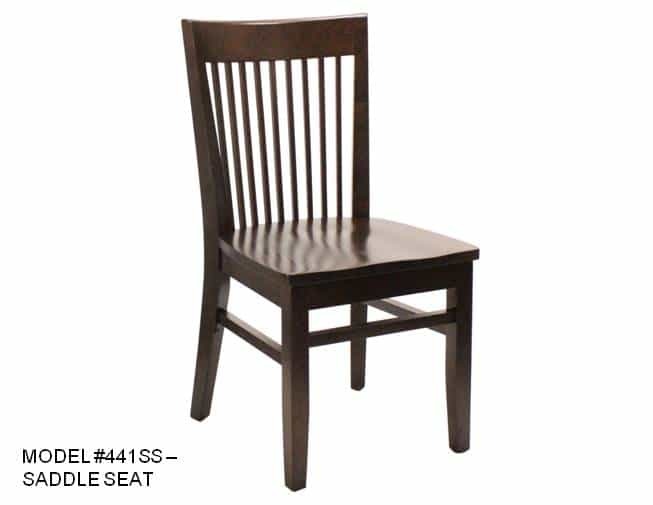 This vertical slat back commercial chair is built to hold up in all hospitality and healthcare environments. 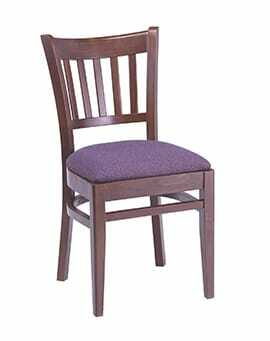 The high back and seat padding ensure a comfortable chair for any hospitality setting from a restaurant to a waiting room. This chair can be ordered with the wood slats exposed to create a dramatic effect, or the inside backrest of the chair can be upholstered, showing fabric through the wood slats. 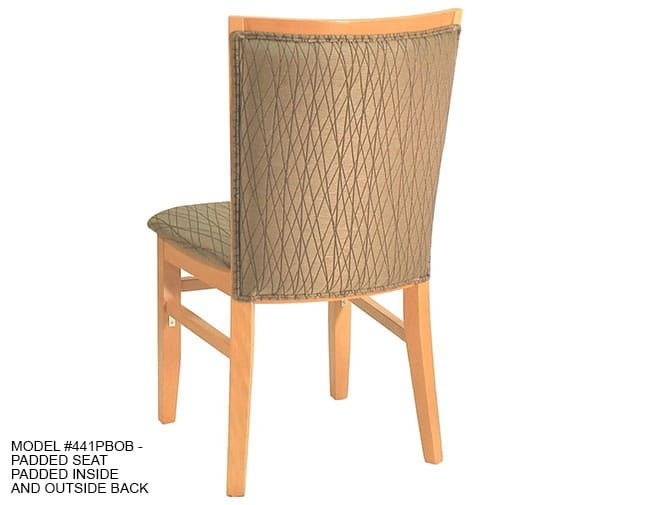 The chair back can also be fully upholstered. 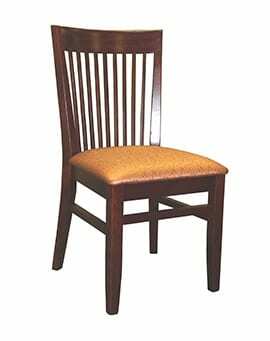 A solid wood saddle seat is available. 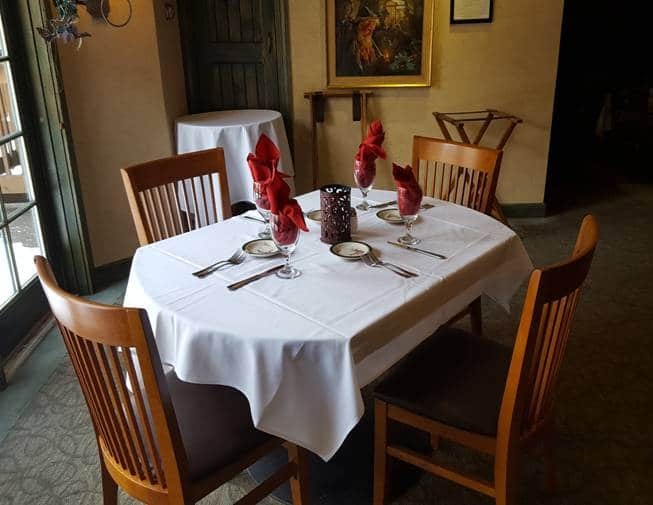 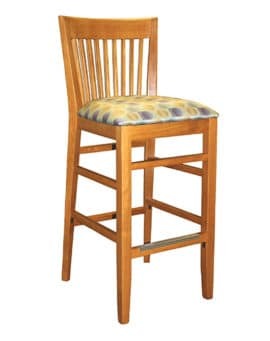 With a reputation as seating experts, M. Deitz and Sons, Inc. provide high-quality restaurant chairs and bar stools at competitive prices. 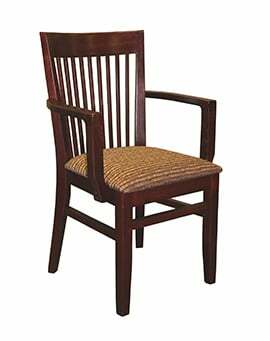 Built with care, and designed for durability, all joints are hand glued and reinforced with corner blocks and steel brackets. 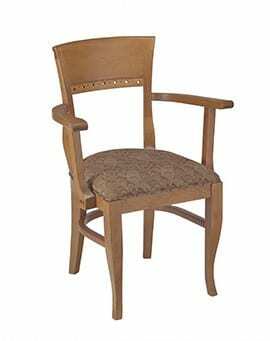 The solid wood frames are available in the wood finishes walnut, natural, mahogany, and cherry. 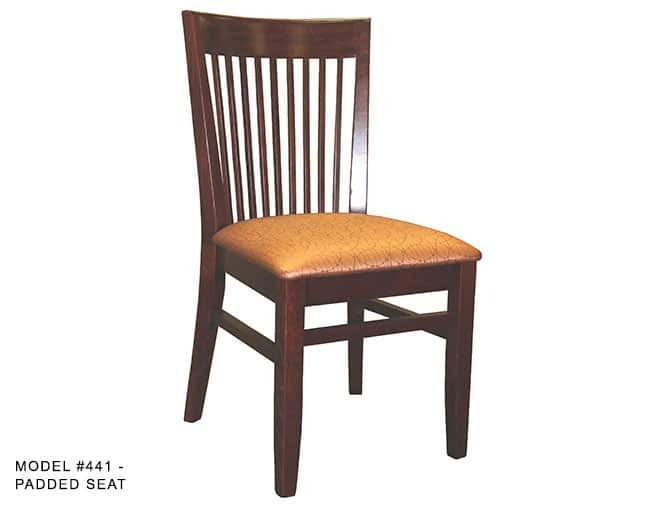 Complete your interior design with matching arm chairs and bar stools. 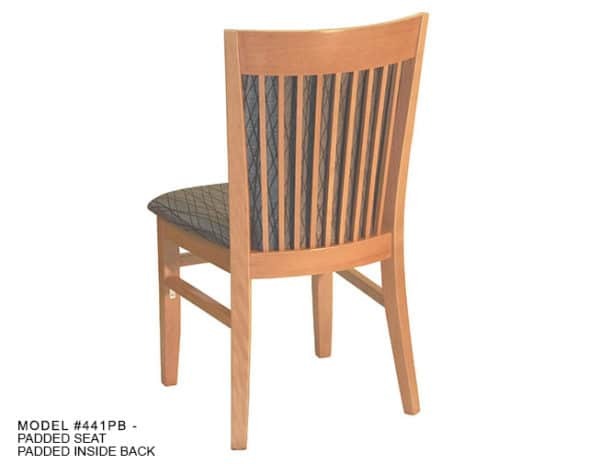 Our experts will help you design the perfect piece to complement your restaurant, hotel or medical facility.